I'm currently on a much needed vacay, somewhere on the beach doing nothing. Atleast, I hope that's what I'll be doing when this scheduled post is published. Hell, why am I kidding myself.. with the luck i've had lately when trying to post in blogger. This might still be sitting in my drafts when I return. Let's think positive Erika..and nothing gives me positive thoughts like Vodka. So I wanted to share my favorite drink to make around this time of the year. It's also perfect for that 4th of July party that you've got planned. So my good folks, get ya some Vodka and blueberries and get the muddlin. Shake it up and pour it out. Now, let's toast to the 4th, to much needed vacay's, to my friend that's moving to NYC to pursue an amazing opportunity. 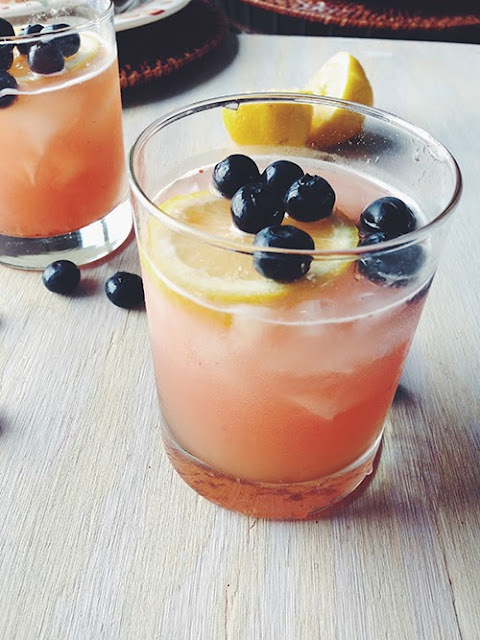 Let's toast to life and happiness and blueberry muddled vodka. Muddle blueberries and agave together in bottom of shaker. Combine remaining ingredients and pour in a glass over ice. 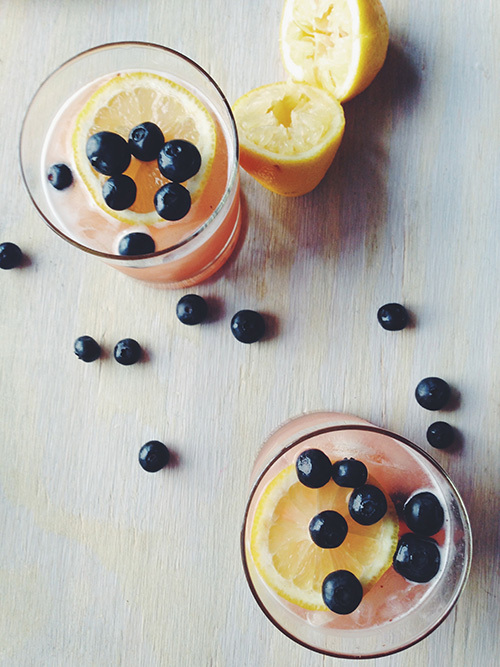 If blueberry bits in your drink aren't your thing. Double strain over glass. Garnish with blueberries and lemon slices.